In doing research on the French and Indian War, I recently ran across a man named Christian Frederick Post, a Moravian missionary who was highly instrumental in negotiating peace between the English and the Native American tribes allied with the French. I knew only a little about the Moravians, and this piqued my interest. In digging further I discovered how extensive the Moravians’ missionary efforts were among the Indians—and how successful. Today we’re going to delve into the history of this denomination and their missions outreach to the Indians. The name of the Moravian Church comes from a country currently a part of the Czech Republic, which was then known as Moravia. 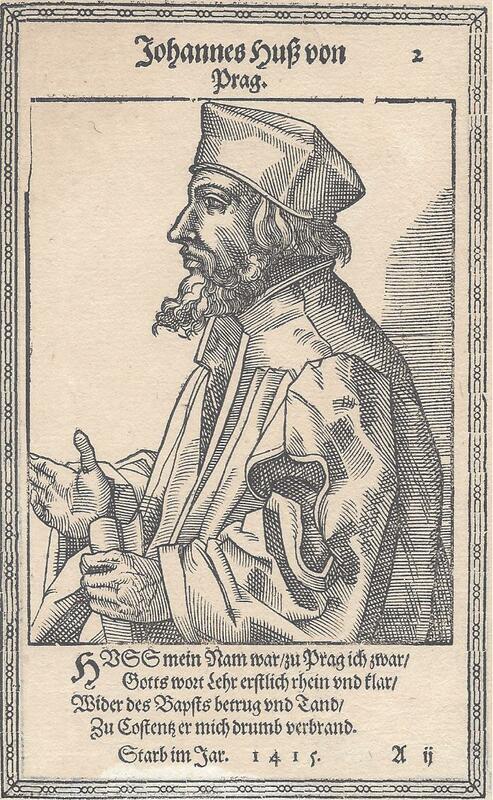 In the mid ninth century large numbers of people in Moravia and adjacent Bohemia converted to Christianity. When the Roman Catholic Church brought the church in this region under their jurisdiction, many of the members objected and a reformation eventually movement arose. 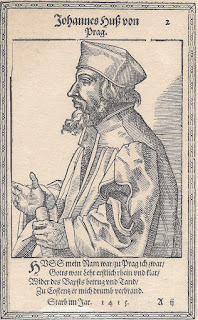 In 1415 Jan Hus, the foremost of the reformers, was convicted of heresy and burned at the stake. The Moravian Church, officially known as the Unitas Fratrum (Unity of Brethren), was established as a result of Hus’s death, 60 years before Martin Luther began what we know as the Protestant Reformation. By 1517 the Moravian Church included at least 200,000 members. It printed its own hymnal and catechism, as well as a Bible for the people of Bohemia and Moravia in their own language. The church spread into Poland as the result of persecution and continued to grow rapidly. 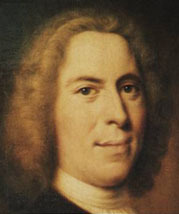 In 1722 a pietist nobleman, Count Nicholas von Zinzendorf, offered refuge to several Moravian families. They established the community of Herrnhut on his Saxony estate, which became a safe haven for many more refugees. Count Zinzendorf, who eventually became a bishop in the Moravian Church, urged the Brethren to take the gospel around the world, and in 1732 the first missionaries went out to the West Indies and Greenland. Moravians first came to America in 1735. The community they founded in Savannah, Georgia, didn’t prosper, and in 1740 they began a mission among the Mohicans at the village of Shemomeko, New York, where the first native Christian congregation in the colonies was formed. On Christmas Eve 1741 the Moravians also established a mission called Bethlehem in Pennsylvania in order to spread the gospel to the Delaware Indians. This became the center of Moravian missions in colonial America. Additional communities followed, including Nazareth and Gnadenhutten, as well as congregations in Philadelphia, New Jersey, Maryland, on Staten Island in New York, and in North Carolina. In 1741 Count Zinzendorf traveled to Pennsylvania. He met with leading men such as Benjamin Franklin, and with the assistance of the well-known translator and negotiator Conrad Weiser, also met with Iroquois leaders and concluded agreements that allowed Moravian missionaries to move freely throughout lands under Iroquois control. 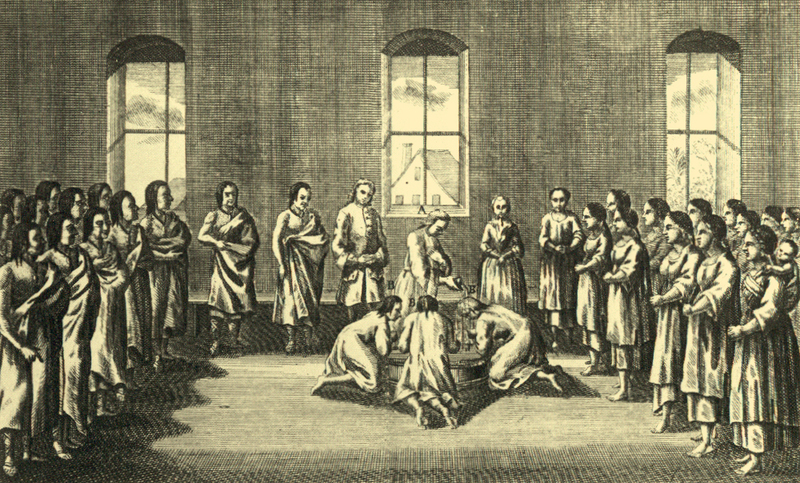 The Moravians quickly developed strong relationships with the Indians among whom they served. 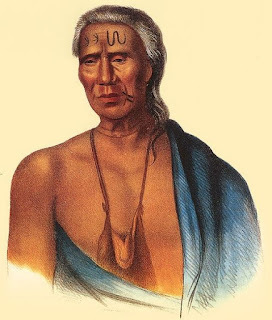 Their focus on the Scriptures for guidance in matters of faith and conduct and on religion from the heart was compatible with many Native American spiritual traditions, especially those of the Delaware. 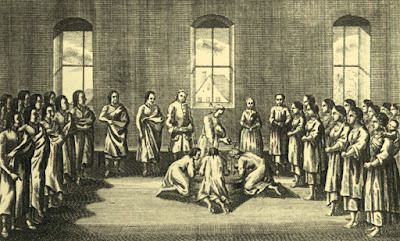 The Moravians’ practice of equality of spiritual life in their communities also appealed to the Indians. Unlike other Protestant missionaries, the Moravians lived and dressed like the Indians, and converts shared common quarters with white believers of all social levels. In the Salem, North Carolina, community, in fact, slaves were also able to become full members of the Church and were even eligible for election to church offices. These practices and the Moravians’ efforts to stop the profitable liquor trade with the Indians aroused opposition from the English colonists. Because of local hostility to the Mohicans in New York, rumors were spread that the Moravians were either secretly Jesuits or were allied with these “atheistic papists”. In spite of those who defended their work, at the end of 1744 the colonial government expelled them from New York, forcing the Moravians to close the mission at Shemomeko. Moravian missionaries remained faithful to their native converts, however, moving westward with them as the Indians were progressively pushed into Ohio Territory after the French and Indian War ended. They also began new missions in the South, including among the Cherokee in 1801. When the Cherokee were forced to move to Oklahoma in the 1830s, Moravian missionaries moved with them. This mission continued until the end of the Civil War, when it was transferred to the Danish Lutheran Church and became the Oaks Mission School. Even though the Moravians played an important role in U.S. history, church membership is only about 60,000 in all of North America today. There are more than one million members around the world, however, mostly in eastern Africa. Other major Moravian centers include the Caribbean, South Africa, Winston-Salem, NC, and Bethlehem, PA. In my next few posts, I’m going to focus on several important Moravian missionaries to the Lenape and other native tribes in Ohio Territory during the 18th and early 19th centuries: Christian Frederick Post, David Zeisberger, and John Heckewelder. I was very impressed by the Moravian missionaries’ faithfulness to Christ and their attitude toward and treatment of the native peoples they worked among. What do you admire most about the Moravians’ missions and teachings? J. M. Hochstetler is a descendant of Jacob Hochstetler’s oldest son John. An author, editor, and publisher, she is the daughter of Mennonite farmers and a lifelong student of history. 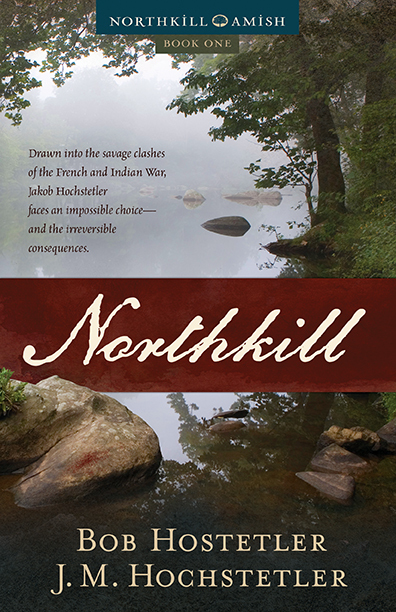 Northkill, Book 1 of the Northkill Amish Series, won ForeWord Magazine’s 2014 INDYFAB Book of the Year Bronze Award for historical fiction. Book 2, The Return, releases in Spring 2017. Her American Patriot Series is the only comprehensive historical fiction series on the American Revolution. One Holy Night, a contemporary retelling of the Christmas story, was the Christian Small Publishers 2009 Book of the Year. Very interesting post about Moravian Missions. They are to be honored for their desire to reach the Natives and their desire to stay true to God. The example of the Moravian missionaries' faithfulness in working for the kingdom is truly an inspiration for us all, Marilyn! Very interesting post about he Moravian missionaries. There is so much rich history that we never dreamed of. That is why I enjoy your posts and the CQ site. Thank you, Mrs. Tina! This blog is sure the place to be entertained with all the stuff we never learned about in history classes! I first read about the Moravian missionaries in a Zane Grey trilogy of all things! This was when I was about 10 years old. I was from a North American Baptist background and these preachers left quite an impression on me. Of course, so did Betty Zane and Lewis Wetzel, lol. Anyway, looking forward to your posts on those names I remember from Greys books. Hey, Kate! I've been a Zane Grey fan since childhood too. LOVE his descriptions of the West! Thanks for stopping by! This is so fascinating...looking forward to more posts. Hi, chappydebbie! So glad you stopped by!